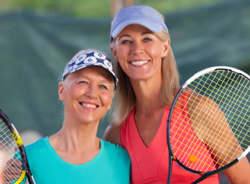 Senior retirement communities are ideal for active adults who want to continue living healthy lifestyles throughout their retirement years. Vienna Square allows you to live your life the way you want to while still providing you a level of care should the need arise. We offer you a community with your neighbors, a variety of scheduled events and the freedom and independence to enjoy the things you like at your leisure. 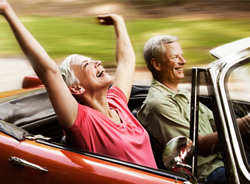 You have probably considered central Florida an ideal place to retire. Our tropical year round weather, fabulous beaches and natural springs, our array of water activities and sports and much more attracts many retirees from all over the country and the world. It is why Florida is so attractive to many people whether it be as a seasonal home to get away from the snow, a permanent home for retirees or a temporary home during your travels. Regardless of your reasons for choosing senior retirement communities, you can rest assured you have chosen the best in Vienna Square. Vienna Square is located in Winter Haven, Florida. 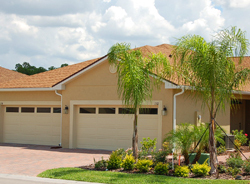 Winter Haven houses quite a few senior retirement communities. You can play golf on one of the many golf courses in the area or visit the country club. You may want to tour Bok Tower in Lake Wales, which is a short drive away. You can visit art museums or take a bi-plane ride and tour the skies. You can even take your grandchildren to Disney World or Legoland. We offer many different services and amenities. Our clubhouse is home to a ballroom, a movie theater, a fitness center and so much more. We offer lawn service, laundry service and housekeeping services for you to choose from. We even have social activities and events happening on a regular basis. You are more than welcome to join in any time, or take a break and enjoy the comforts of your home. 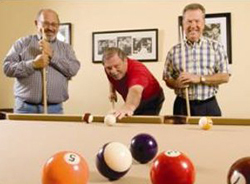 We believe in luxury living at our Florida retirement communities. As you age into your older senior years, we want you to have peace of mind when it comes to your wellbeing. Our Continuing Care Campus and Secure Care Pledge give you the comfort of knowing you will be taken care of when you need us most. We will provide an unprecedented range of services to our residents so your worries are minimized. Has this commitment been extended by other senior retirement communities? We feel your overall health is important and we strive to give you the ability to live actively and have help when you need it most. Please visit us and experience Vienna Square first-hand. We look forward to your visit and are eager to share with you the amenities and features we offer as well as helping you to learn more about senior retirement communities.